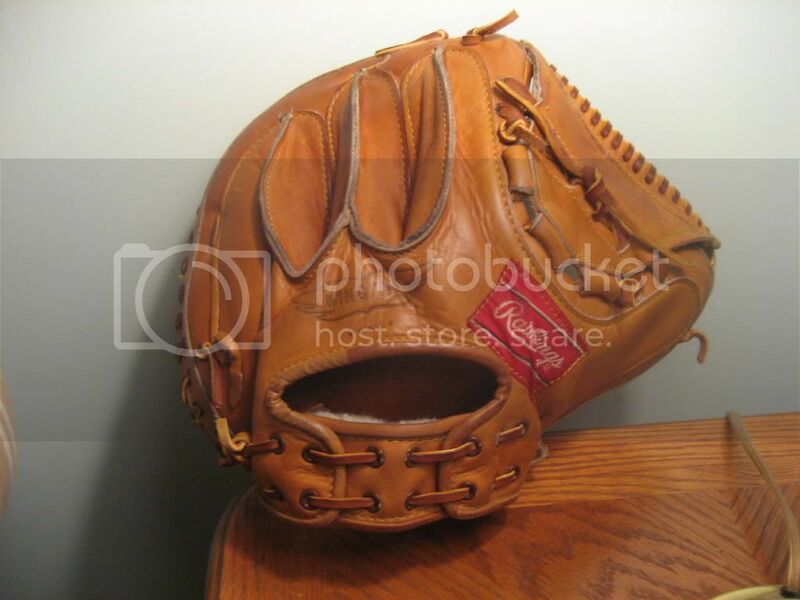 Vintage Baseball Glove Forum • View topic - Lite-Toe?!... I don't think so!!! Last edited by No-Lite-Toe on January 27th, 2009, 11:02 pm, edited 1 time in total. What model? The open back and and wing tip of an HOH or DE-1. The web of an RL. I'm intrigued. 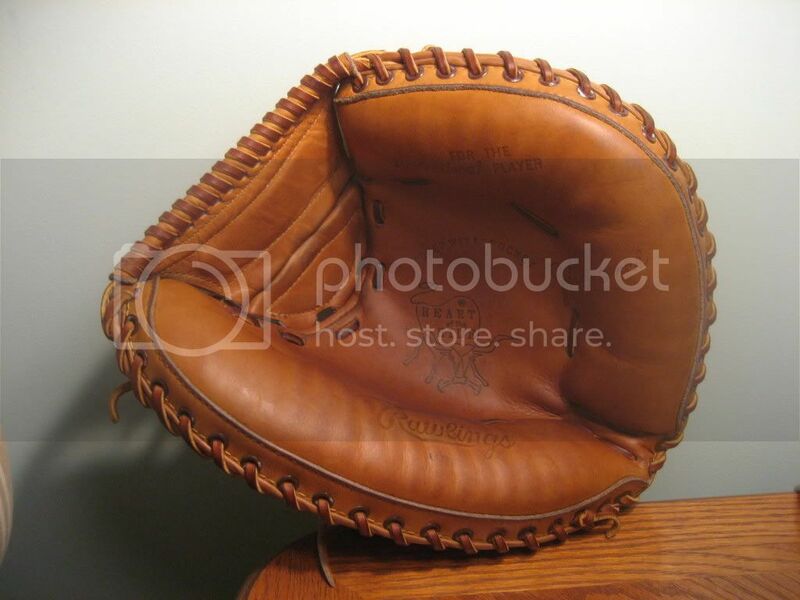 This is a fair example of a Johnny Bench DE-1 Wingy. Probably early 80's I think. When it came I took it out the box and fell love in love right away. Since then it had relacing by Kenny J. Last edited by No-Lite-Toe on January 28th, 2009, 3:59 pm, edited 1 time in total. I fail to say it is an HOH which you can see anyway. Lileague I think you have one of these, no?